Extendable conveyors are designed for high volume, fast throughput receiving and shipping applications at all types of distribution centers. 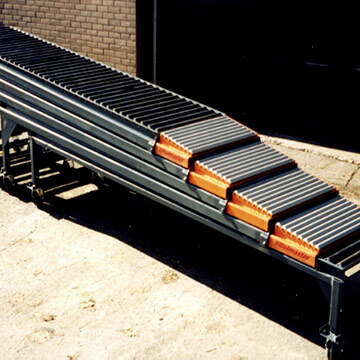 Telescopic and rigid drive-out belted conveyors are designed to provide full reach into trailers with the highest level of ergonomic benefits and safety controls available in the industry. Flexible conveyors expand, contract, flex side-to-side, and move to fit the needs of every operation. Used as stand-alone or in conjunction with other conveyor systems, our flexible conveyors deliver optimal utility and versatility for distribution centers and retail stores, as well as manufacturing, assembly and processing facilities.